Reward Points extension allows you to reward customers for registrations, product reviews, purchases, referring a friend who makes his first purchase or get them as a gift from store owner. Customers earn reward points for registrations, purchases and approved product reviews. Reward points can be calculated based on order subtotal including or excluding taxes. Reward points are returned after the full or partial order refund. Reward Points Magento Extension provides magento site owners with several options of awarding points. A customer can earn rewards after he gets registered at your store or invites friends. This plugin complements the Invitations Magento Extension making the process of referring a friend from the address books or the social networks pleasant and worthwhile. The reward points will be awarded after the referral makes his first purchase. Both Reward Points and Invitation extensions are also available as part of Loyalty Program Package. This Rewards Program Magento Extension also allows adding extra points to user accounts manually to encourage the most active customers, etc. Customers will be able to use their reward points in the shopping carts. A good extension with few thing that can be upgraded. An here i can mention; a better way to make user aware about point tha can be earned, and a code that can be inserted in one step check out. Great support as usual from plumrocket. This one of the 'must-have' extensions for the loyal customers! I'm satisfied with their support services! It is also is a very good choice if you're looking at whether to buy. 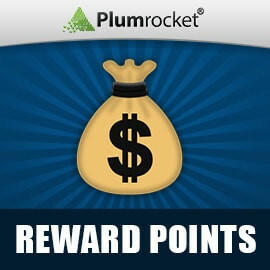 Reward Points buy Plumrocket is exactly what we have been looking for. The extension meets all our requirements and very easy to integrate. I recommend for everyone to go for it. I purchased this extension at the weekend and it took around 30 minutes to install and configure to my magento store. It's an excellent product and I would recommend it to anyone looking for a great way of rewarding your customers. great extension to reward your customers for shopping on your store. As i believed - it works like a charm! I had a minor design issue but they fixed it fast. Great extension and great support. My webshop its now more attractive. The installation was easy and we are very exited to find you. Very easy to install and configure. It worked perfectly in a few minutes. The biggest job was to translate the messages and images of the emails sent by the module into Portuguese. Its outstanding extension and very easy to install. I recommend to all to use it and improve your conversion rate. Thanks Plumrocket for this awesome extension. With this extension we are able to be the first in our market to offer a rewards program to our customers. Simple to use and makes it easy for the customers. Buy products, get points, save money. Easy to install, great support. I was looking for a good Reward points and I have found what i wanted. So it will add an extra value to my site. My customer enjoys it so much! Excellent extension and our clients like this rewards. Was necessary a little bit of code for my template but customer support was prompt and helped me to fix the issue. I totaly recommend this extension! I purchased several extensions from Plumrocket, this being one of them. The goal was to have a seamless user experience and this was one of the components. It allows me the ability to reward our clients in a simple and economic manner without a lot of hoops through which to jump. This is a best customer reward extension I've ever found in Magento Connect. It very easy to create the rules for reward points and can interconnect with other Plumrocket extensions (like Invitations or Review). The admin can manage the customer points and can assign points individually for every products or can restrict points redemption for specific products. In my opinion these are a very useful things. Thanks for a customer support! A great extension I would recommend it! This extension is great for increasing customer loyalty. Works great! We use it with Plumrocket Advanced Product Reviews and Invite a friend plugins (to help drive more business to our sites). Documentation is detailed and easy to understand. Plumrocket technical team are great to work with and deliver quality service. Easy extension and very customizable. I like it! It very simple to configure it. This is the best reward points extension! After having issues with another version for rewards points this option presented itself. this is cleaner and very user-friendly. I would recommend this product! This is a great extension for any magento webstore that plans on implementing a rewards system for their loyal customers. Again, as with the other extensions from Plumrocket, easy to install and setup, integrates well with the checkout extension. Very simple to install and works pretty good. This is a nice feature if you want to increase your sales with your customers. Built-in very well with the customized membership programs. Customers can see what they earned, and knows how to convert them well as long as clear instructions and advantages are shown. Many have used it to great extend. As i believed it works like a charm! I had a minor cosmetic issue but they fixed in few hours. Great extension and great support. Thank you! Works seamlessly - also appears very nice in backend. it works well in my system, practical, so recommend it. Had a small issue with installation (my fault). But the support helped me within a half hour - great) Many thanks! Our company originally had Sweet Tooth installed, which was great, but very costly each year. This extension will give us very similar features and cost us a faction of the cost. It's the best review extension we've found and since it's Plum Rocket, we know the service and support is there if we need it. Highly recommended this one! The solution to have loyal customers. Reward Points is the clue to ensure a lot of customer activity. I use it to reward each social interaction and even for backcash: I asked for some customization and obtained a 1st class support. If you have to choose, this is a must have! Currently I use reward points together with invitations extension and I can say that this tactics works just fine for me. Various settings for both extensions are available - points redemption, setting expiration dates and for inviting guests also. I'm satisfied and figuring out how to customize to the edge. Good choice if you're looking at whether to buy. Gamification is a must if you're going to create return visitors and spread the word of your store. This extension is great for creating a reward system for valued customers. Added ability for admin to define which customers will earn reward points for registration. Possible options are: A) Every new user (no restrictions); B) Only invited users (via invitation link); C) Everyone except invited users. Options B and C of this feature requires Plumrocket Magento Invitations to be installed. Fixed bug with reward points usage if more than one currency has been set up on the store. Fixed bug with sorting in the Reward Points grid in the backend. Fixed the issue with submitting points in shopping cart if HTTPS on the site is enabled for a few pages only. Earning of reward ponints can now be disabled on per product basis. Added reward points expiration feature. Added reward points email notifications with points balance updates and points expiration notices. Changed logic of reward points earned on purchases: now reward points are being earned once the invoice was issued. Added points redemption and earning rate, allowing to specify the amount of points equal to your currency.